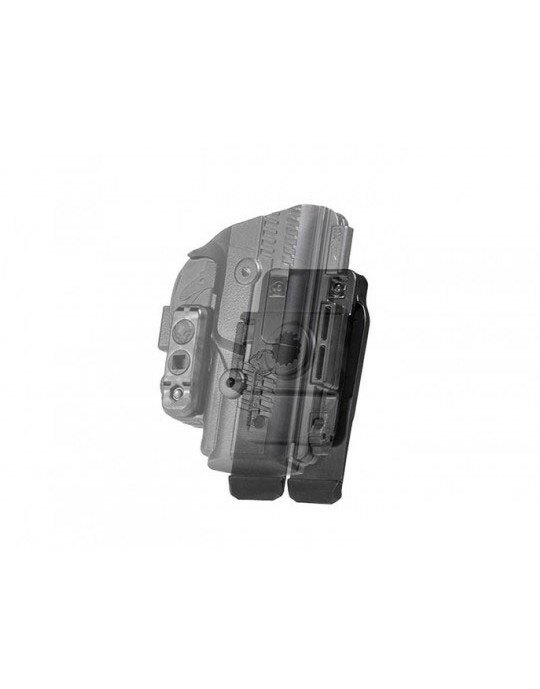 Sometimes you don't care about concealing in the slightest and just want an open carry rig that can take anything and carry on, which is what the ShapeShift M&P Shield 40 M2.0 OWB Paddle Holster is designed to do. 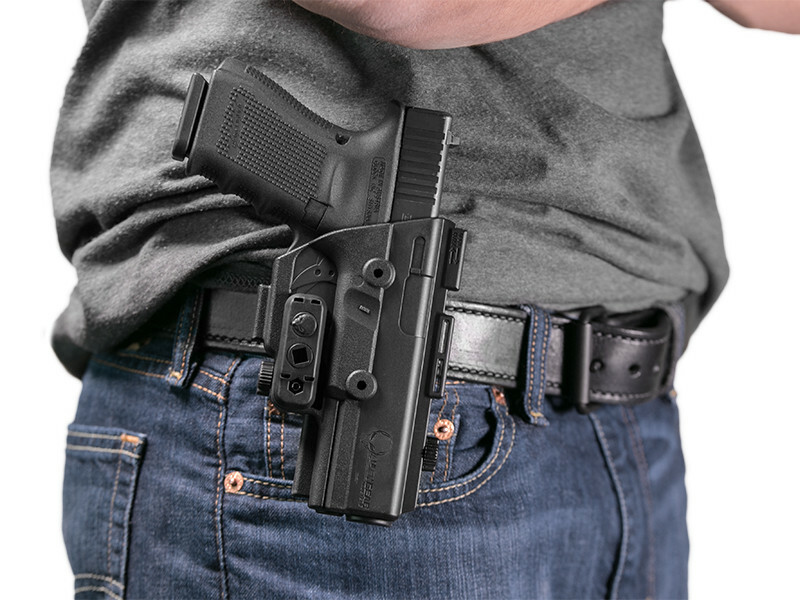 It's a durable, versatile carry platform designed for wearing outside the waistband in nearly any environment. 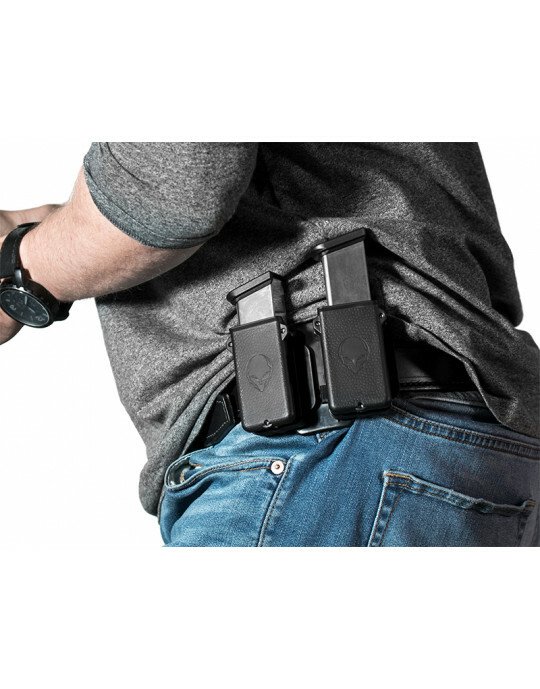 This holster is designed to do exactly that. 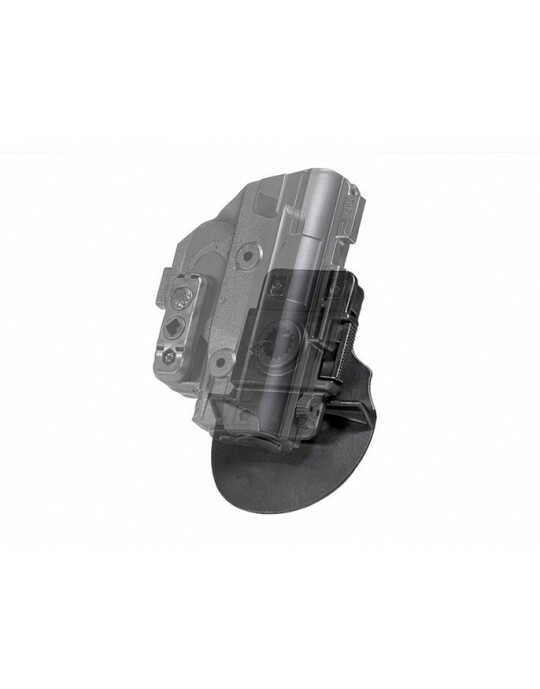 The ShapeShift Shield 40 2.0 OWB holster is molded from proprietary durable polymer blend similar to that used to make many firearms. 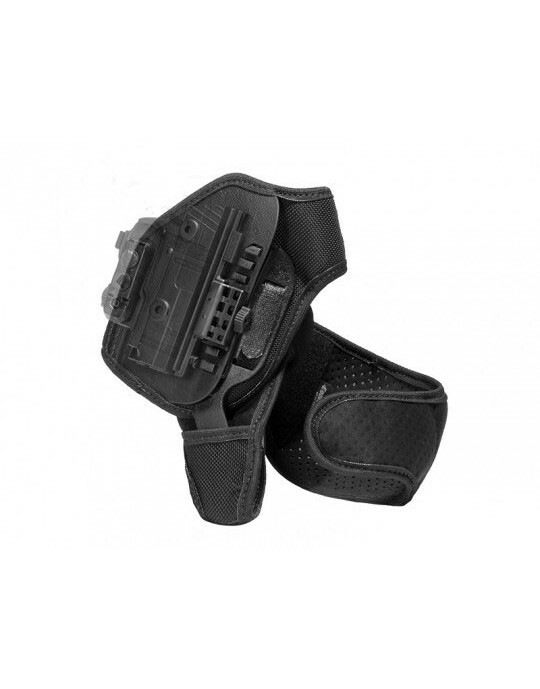 We tried, but couldn't find a way in the normal course of wear to stress this holster to the breaking point. It simply can't be beat. You'll be able to enjoy a custom fit right out of the packaging, as the holster is custom-molded for your make and model pistol. 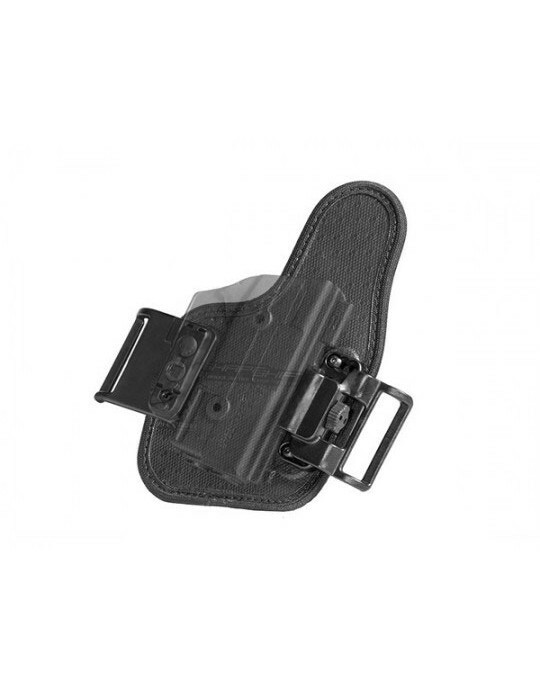 No break-in period is necessary; this holster comes ready to go. 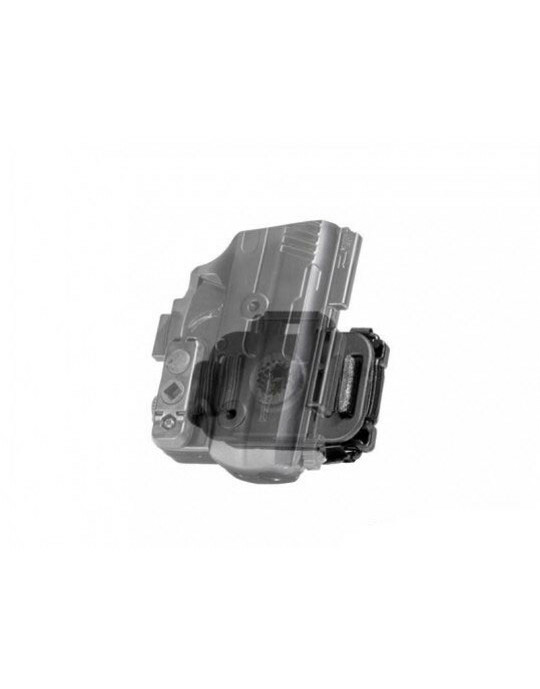 The fit also aids in retention, as a properly fitted holster will help hold the contours of the pistol. Retention also happens to be customizable. You can dial in the passive retention of your Shield 40 M2.0 OWB paddle holster to your exact desired setting via the Adjustable Retention Unit. If desired, you can also install the included thumb release for an active retention device, making this a full Level II retention holster. 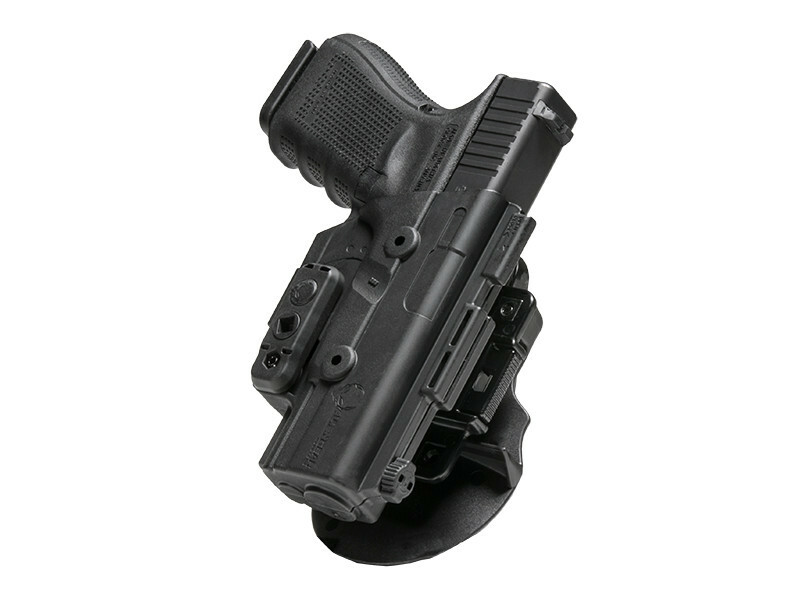 The cant angle is also fully adjustable, should you desire to give the holster a positive, negative or even horizontal cant. The paddle is molded and contoured for comfortable carry, featuring a retention lip to keep the holster firmly anchored where you install it. You get the easy on, easy off convenience of a paddle holster without having to worry about the holster once installed on the waistline. However, if you desire, you can easily convert your ShapeShift to a belt slide by swapping the belt attachment. 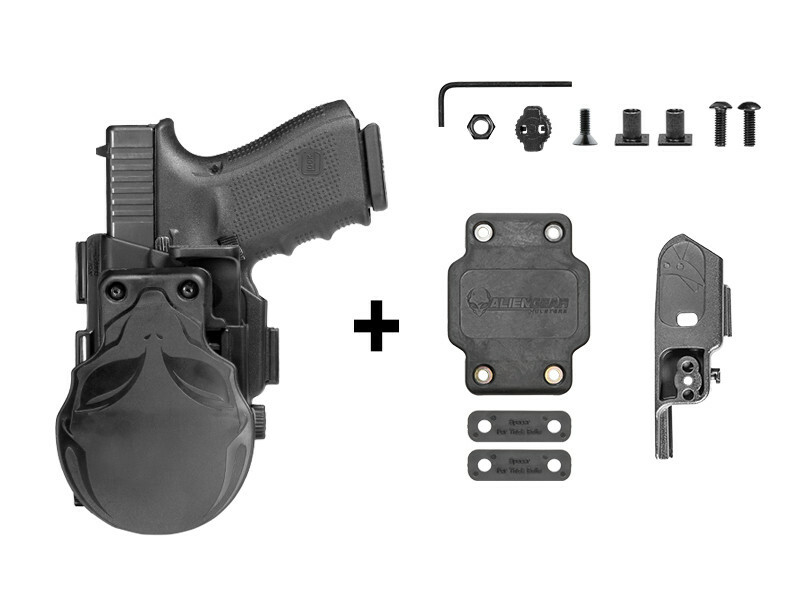 Along with these features, the ShapeShift S&W M&P Shield 40 M2.0 Paddle OWB Holster also comes with Alien Gear's Iron Clad Guarantee, including a 30 Day Test Drive and Forever Warranty. 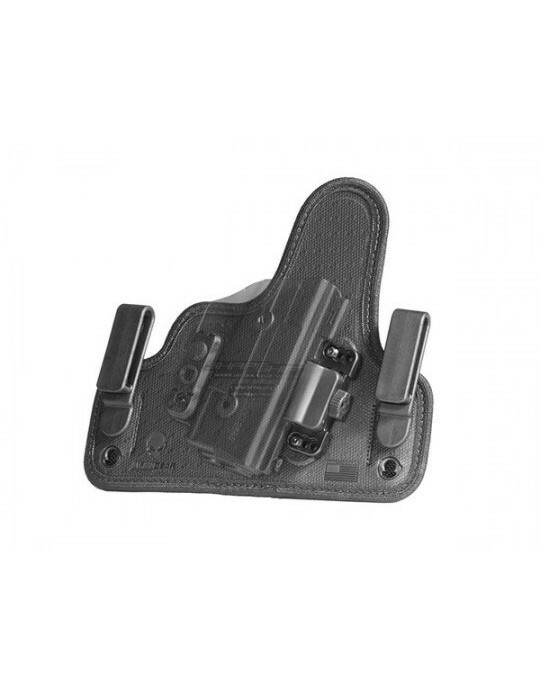 If you're after a durable OWB for days spent outside at the range or around the campsite...this holster is otherworldly.